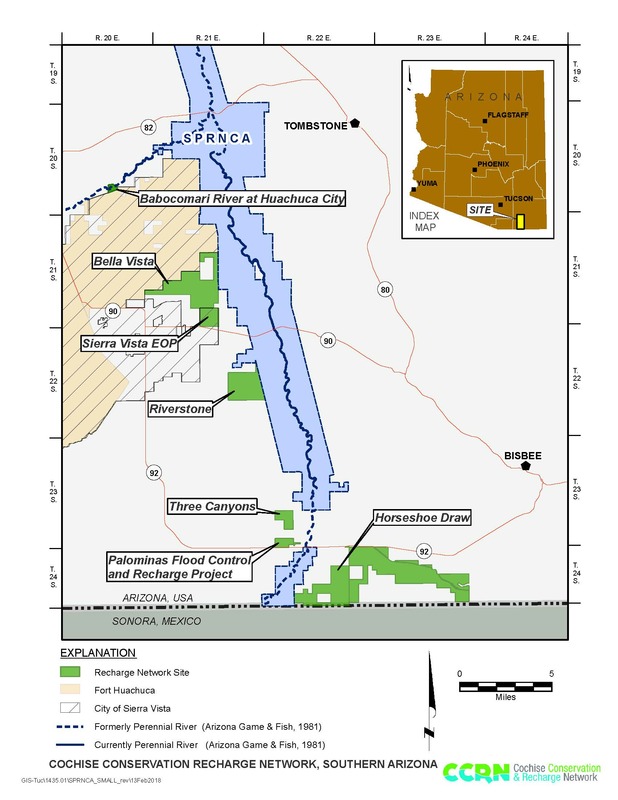 The Three Canyons Site is on the west side of the San Pedro River and is owned by Cochise County. 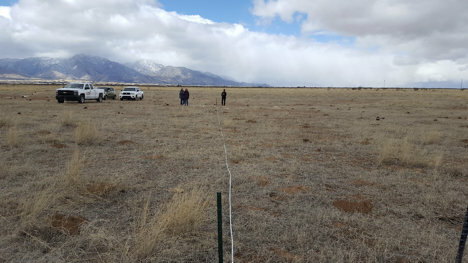 A conservation easement on the 480-acre parcel is held by the City of Sierra Vista and conserves an estimated 2,588 acre-feet/year of groundwater that will not be pumped due to precluded development and/or irrigation. The goal of the site is to preclude groundwater pumping from the large capacity irrigation wells located on the property that historically would dry up the nearby reach of the San Pedro River when pumping. While there are no plans for a recharge facility at this site, Cochise County is exploring other water conservation efforts at this site. Groundwater monitoring began in 2016 by the U.S. Geological Survey (USGS) and is ongoing.